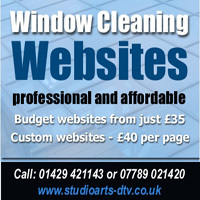 Sparkling View is a professional window cleaning company based in Berkshire. Any enquiries regarding domestic or commercial window cleaning are welcome. All work is guaranteed and their company and highly trained staff can provide a comprehensive service for anyone requiring a regular or one-off window cleaning service in Berkshire. Areas covered include Maidenhead, Windsor, Bracknell, Ascot, Henley-on-Thames, Crowthorne, Wokingham, Twyford, Marlow, Binfield, Warfield, Newell Green, Maidens Green, Winkfield, Shurlock Row, Paley Street, Touchen-End, Littlefield Green, Waltham St Lawrence, White Waltham, Ruscombe, Hurst, Wargrave, Cookham, Taplow, Burnham, Dorney, Bray, Fifield, Holyport, Shiplake and Harpsden.